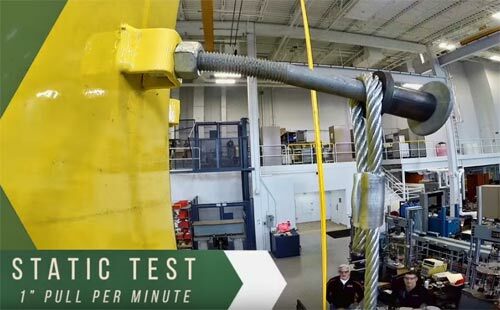 The National Association of Tower Erectors (NATE) today released a video that was produced as a result of several prominent industry step bolt testing events that were conducted at the University of Dayton Research Institute (UDRI) in Dayton, Ohio. The #ClimberConnection video, entitled “To Tie-Off or Not to Tie-Off”, contains important safety information that the industry’s tower technician workforce needs to know before working on tower structures installed with step bolts. The informative video was unveiled at the 2019 Wireless West Conference in Scottsdale, Ariz. The video shows jaw-dropping footage of the static and dynamic drop tests that were performed at the UDRI facility in order to test the strength of step bolts. The video reinforces the key findings of the testing that 5/8” step bolts, while suitable for climbing, do not have the capacity to be used as an anchorage for any type of personal fall arrest systems. “The information contained in this video should be utilized by every company and worker in the industry as a training tool as it contains important step bolt related information derived from our testing ,” said NATE Board of Directors member John Paul Jones, who helped spearhead the testing activities. “I would like to thank all of the manufacturers, tower owner/vertical realtor firms, contractor companies and technicians who collaborated together on these testing initiatives. 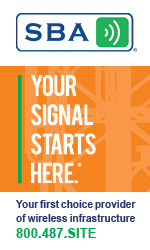 The results obtained from the testing will ultimately help create a safer environment for the men and women working at elevation on monopole towers,” Jones added. To raise awareness of the design, performance and intent of step bolts, a testing model and process was underwritten by NATE and supported by many others in the industry. Their step bolt Planning Advisory Notice is available here.